Just 2 ½ hours from Cape Town, off the scenic Route 62 in the farming village of Barrydale, you’ll find the best accommodation in Barrydale in the form of the quirky, relaxed and welcoming Karoo Art Hotel. This little country hotel showcases and celebrates Art in a big way. Every room in the hotel is individually decorated, one of them by internationally-renowned design collective, Magpie Collective. Aside from the eye-catching interiors and artworks, much of it for sale, the art of winemaking is celebrated with a very good wine list. If Karoo cuisine is an art (and it is!) then this is the studio where it is practised best, being a winner of the Klein Karoo Gourmand Restaurant Award, and a member of the international gastronomic guild Chaîne des Rộtisseurs. But perhaps the art that is closest to the beating heart of this funky country hotel is music. In the past 4 years it has firmly established itself as the home of Klein Karoo’s best live music events. It showcases the talents of both locals from the area as well as top-notch musicians from the rest of the country including Dave Ferguson, Wendy Oldfield, Valiant Swart, Piet Botha + Akkedis, Nick Turner, to mention but a few. Within easy reach of the famous Warmwaterberg hot water springs, and in the heart of the Cape’s longest wine route, this is the perfect stop on a road trip via the scenic R62 to Oudtshoorn and the Garden Route. A peaceful weekend bolthole from the city, and a fabulous, affordable exclusive-use party, conference or wedding venue. Whatever your reason for visiting, plan a few days here. There’s plenty to do, but here’s the real 21st century challenge: rediscover the art of doing nothing. With caring, nurturing staff on hand to take care of you, the Karoo Art Hotel is a great place to start. Because the Cape’s funkiest country hotel still offers that most vital ingredient: warm, old-fashioned Karoo hospitality. Karoo Art Hotel, Barrydale awarded with the coveted 2018 /2019 Eat Out award!. Karoo Art Hotel has once again been awarded the prestigious Diners Club Wine List Diamond Award. CNN Travel lists Route 62, Klein Karoo, South Africa as one of the world’s top 10 road trips! 2017 Top Valued Establishment Award winner! 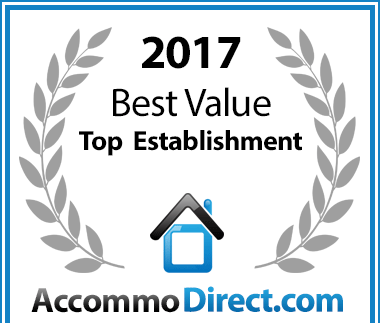 Karoo Art Hotel has been voted a Best Value establishment. TripAdvisor Certificate of Excellence Winner 2018! Booking.com Guest Review Awards 2017 Winner! SA-Venues Guests’ Choice Awards Winner 2018! Take your pick from just 15 rooms. Karoo country hotel style with a twist, each individual in character. Aside from the bar, where many smaller events are hosted, the Belanti Theatre & Bioscope, the beautiful old Barrydale cinema venue, is also available for larger gigs. Life is too short not to get away on holiday as often as possible – a place where someone else makes your bed, cooks your breakfast, and pours your drink.